Beetles are insects with relatively hard shells (called elytra) evolved from the forewing which function to protect the rear pair of wings. 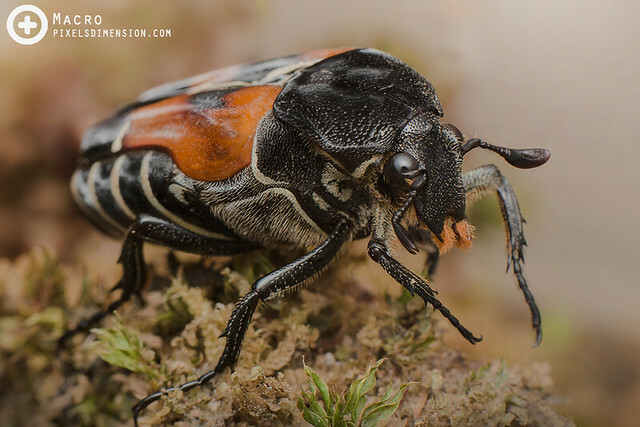 The relatively tough exoskeleton of beetles makes them difficult to prey upon, thus making them one of the most successful in the insect world- widely dispersed throughout the planet in a wide array of forms. Beetles are also the most abundant among insects, amounting to 40% of all the described insects, with many new species yet to be described. 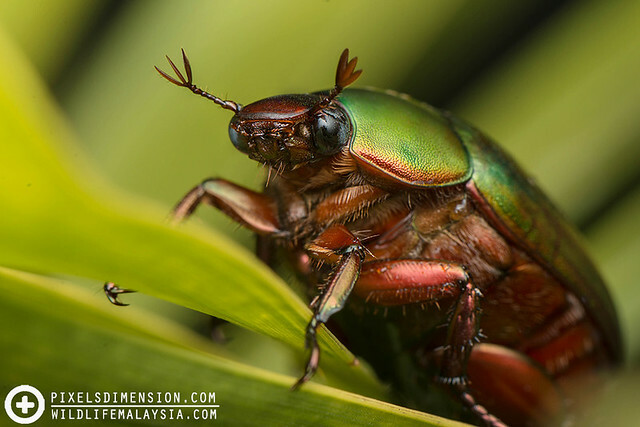 Let’s learn more about these fascinating beetles! #1. A Stag Beetle (Aegus parallelus). 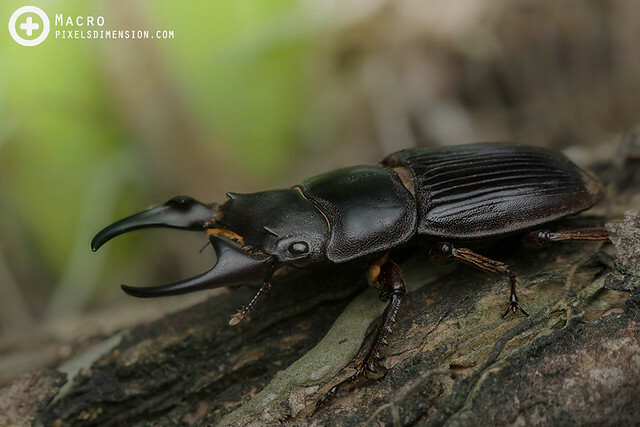 These large and magnificent beetles spent up to six years underground as larvae, feeding on decayed wood before merging as the adults we usually see. 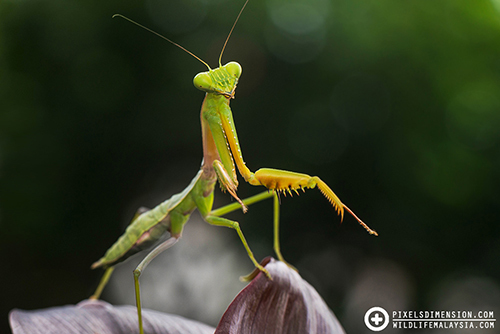 The huge front pincers (in males) are used for fights for mates or food. #2. 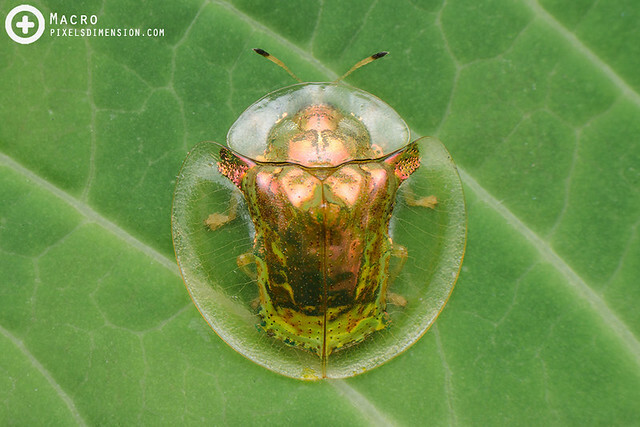 A Tortoise Beetle (Aspidomorpha sp). 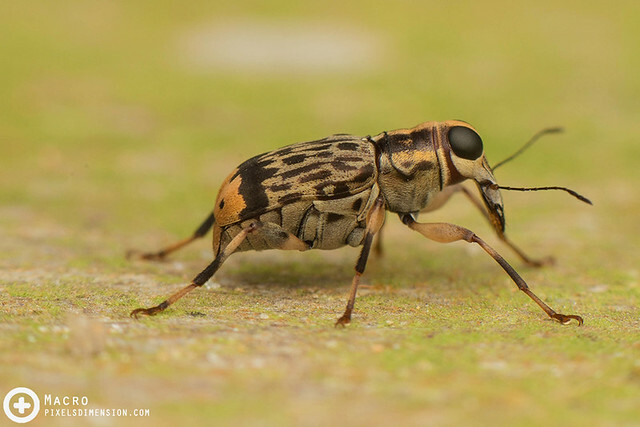 These cute little beetles are usually round or oval-shaped, with body extensions that serve as a shield. Tortoise beetles usually display metallic colours but are capable of changing the colours when needed. #3. A Metallic Green Tiger Beetle (Cicindela sp.). 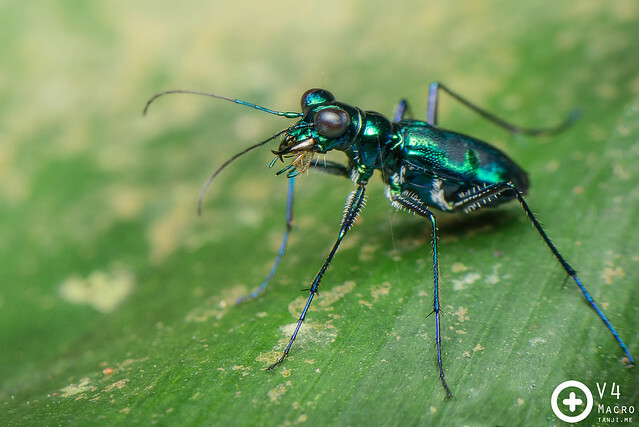 Tiger Beetles are fast and ferocious predators with bulging eyes and large jaws (mandibles). Tiger Beetles were reported to be able to run up to 9KM/Hour- so fast that even their brains cannot keep up with their visions while running. #4. An Orange Flower Chafer (Cetoniinae). 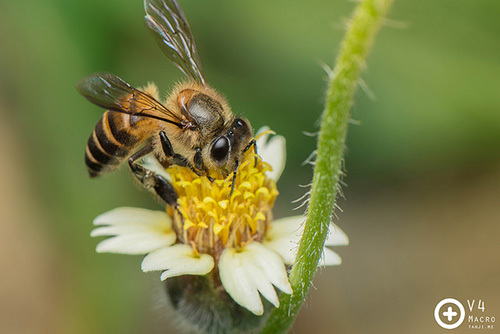 Flower Chafers are generally large, squarish-looking beetles that enjoy feeding on flower pollens and nectar. Some species can grow very large. #5. 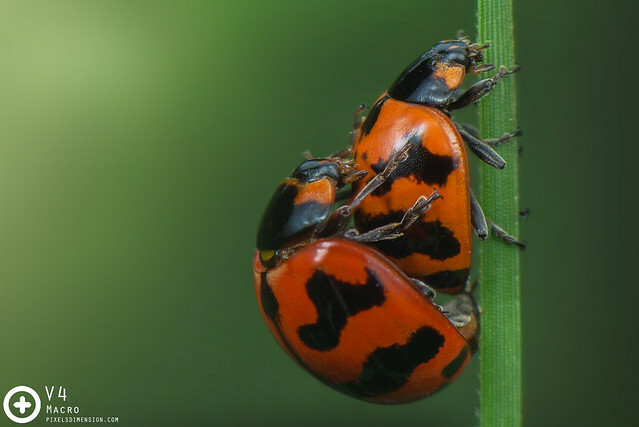 A mating pair of Transverse Ladybirds (Coccinella cf. transversalis). Ladybirds are also a type of beetles which are widely known for their beauty and usefulness to mankind. These beetles feed on aphids and scale insects which are undesirable pests in agriculture, gardens, orchards etc..
#6. 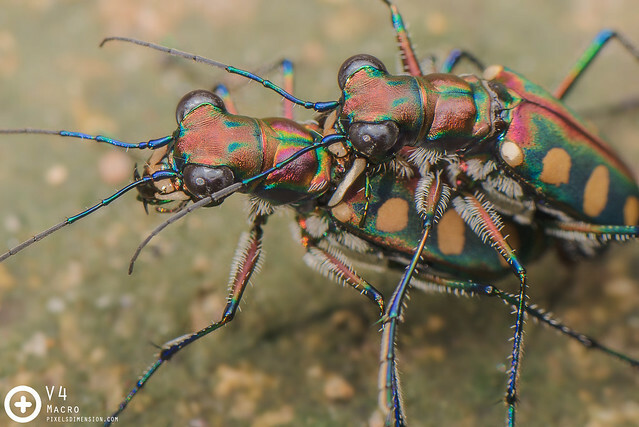 Tiger Beetles (Cicindela aurulenta) mating. 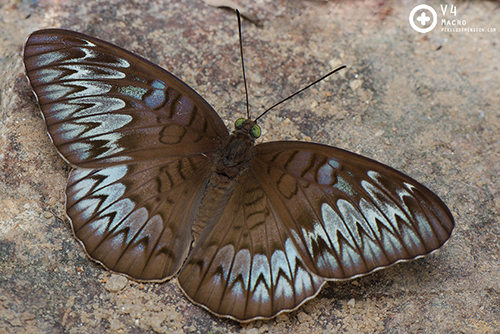 During the process, the male (on top) uses his mandibles to grab the female’s thorax. 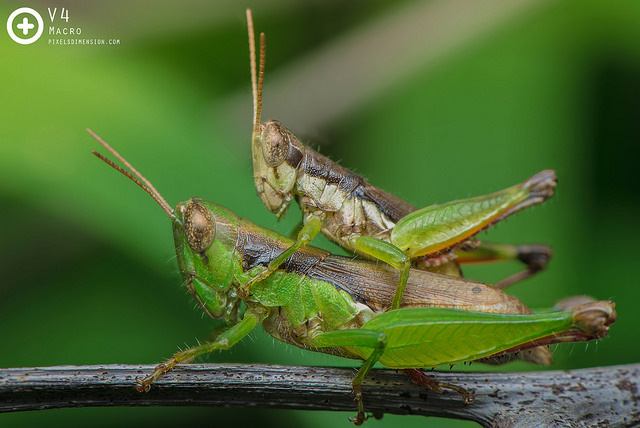 The male will often stay on top of the female even after mating to deter other males. This phenomenon is called “mate guarding”. #7. 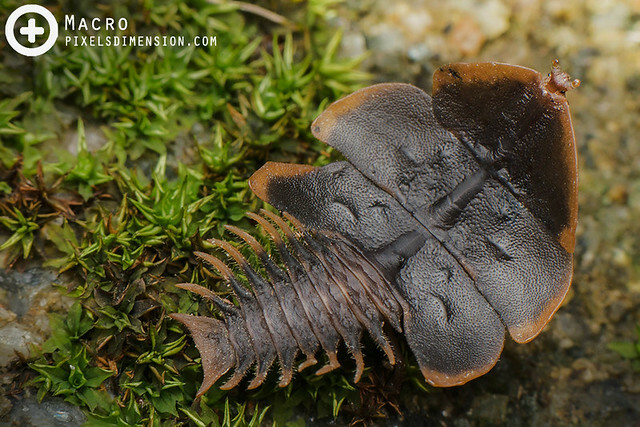 A female Hoi Sen’s Trilobite Beetle (Duliticola hoiseni). Trilobite beetles are so-called due to their resemblance to the already-extinct Marine Trilobite arthropods. The females of these beetles are termed Neotenous since they remain in larvae-form throughout their lives. #8. Weevil beetles generally refer to those with a long “snout/nose” and belong to the Curculionoidea superfamily. Fungus weevils, as the name suggest, feeds on fungus and decaying matter, especially wood. Found this one on an abandoned, man-made log. #9. 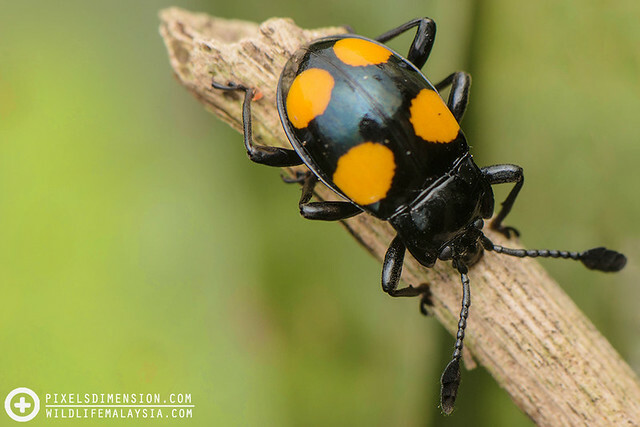 A Four-spotted Fungus Beetle (Erotylidae). Found this common fungus beetle, well, eating fungus. Tiny and inactive, these beetles are often overlooked by men! #10. An Orange longhorn beetle (Cerambycidae). This moderately large longhorn beetle displays some striking orange and metallic green colourations- awfully attractive! As the name suggests, longhorn beetles are beetles that have long antennae “horns” which may be longer than their bodies. #11. A Green Scarab Beetle (cf. Anomala sp.). A common, likely female Green Scarab beetle with an attractive, metallic bronze underside and legs. The beetle may be slow and clumsy, but it is very well protected by its thick and tough armour. #12. A Net-Winged Beetle (Lycidae). 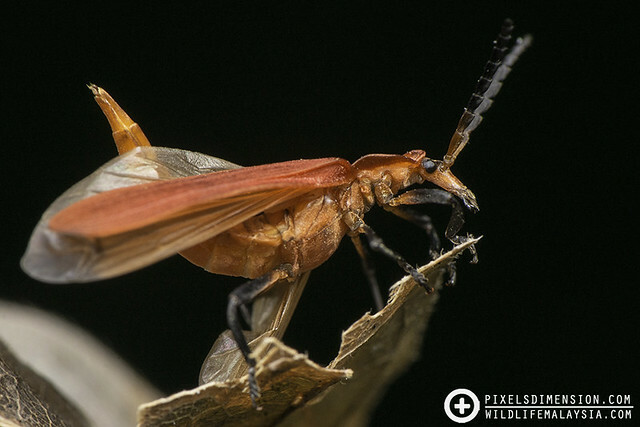 A flashy Net-Winged Beetle, which kind of look like a female Scorpionfly. Mimicry? Or just plain coincidence? These beetles can often be found near tree barks and leaf litter, and they deter predator by being toxic. #13. 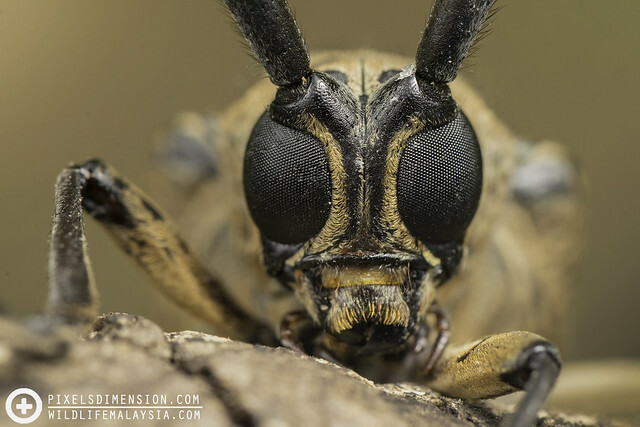 Face of a Long Horn Beetle (Cerambycidae). 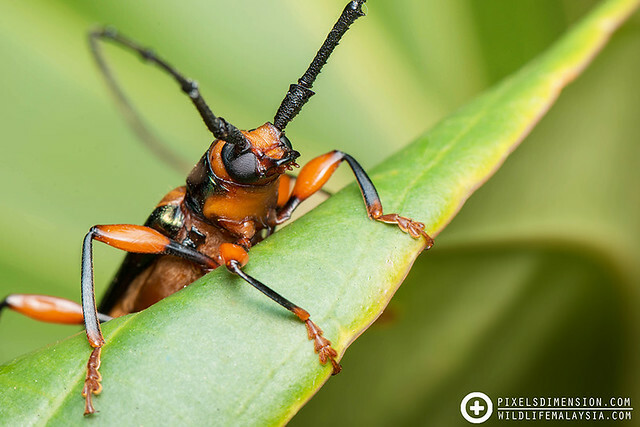 Long Horn Beetles are so-called because of their extensively long antennae that may even be longer than the entire length of their bodies. 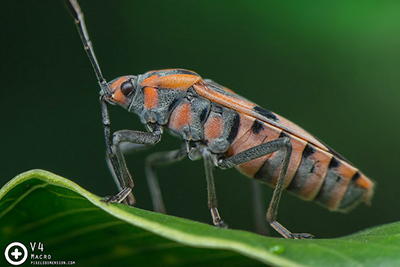 The larvae of this type of beetles can cause great damage to wooden structures or trees, and are thus considered as pests in certain countries. Some Long Horn Beetles can grow extremely large and heavy, and like many other large beetles, they are clumsy and don’t often fly.